Thought this might be useful, especially with the guild glitter boxes. -If one item has glitter stones you will not be able to see the stones if you don't have rebirth. Also, you can't have 2 same type glitter gems in one item. 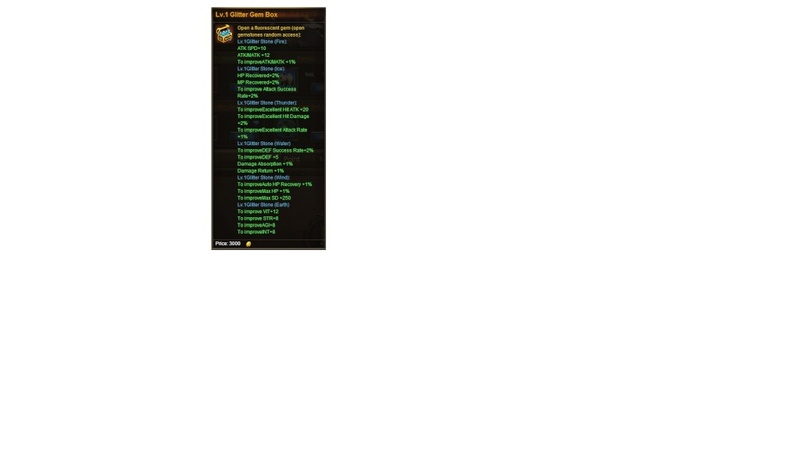 Which is better for SM weapon? improve excellent atack rate i think is the best for weapon. Max is 5% ear per weapon. With 2 weapons u can have 10% extra ear !